In his early childhood raised in the Swedish court alongside Queen Christina he received an excellent civil education. 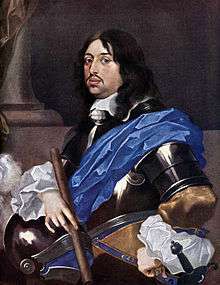 Later Charles X learned the art of war under Lennart Torstenson, being present at the second Battle of Breitenfeld (1642) and at Jankowitz (1645). From 1646 to 1648 he frequented the Swedish court, supposedly as a prospective husband of his cousin the queen regnant, Christina of Sweden (1626–89, reigned 1632–54), but her insurmountable objection to wedlock put an end to these anticipations, and to compensate her cousin for a broken half-promise she declared him her successor in 1649, despite the opposition of the Privy Council headed by Axel Oxenstierna. In 1648 he gained the appointment of commander of the Swedish forces in Germany. The conclusion of the treaties of Westphalia in October 1648 prevented him from winning the military laurels he is said to have desired, but as the Swedish plenipotentiary at the executive congress of Nuremberg, he had an opportunity to learn diplomacy, a science he is described as having quickly mastered. As the recognized heir to the throne, his position on his return to Sweden was dangerous because of the growing discontent with the queen. 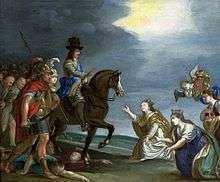 He therefore withdrew to the isle of Öland until the abdication of Christina on 5 June 1654 called him to the throne. 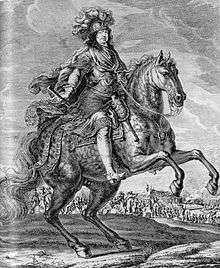 Charles Gustav was crowned on 7 Jun 1654, the day after Christina abdicated. The beginning of Charles X's reign concentrated on the healing of domestic discords and on the rallying of all the forces of the nation round his standard for a new policy of conquest. 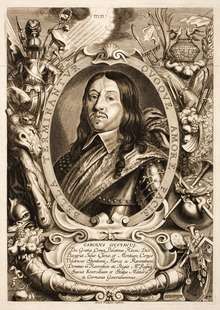 On the recommendation of his predecessor, he contracted a political marriage on 24 October 1654 with Hedwig Eleonora, the daughter of Frederick III, Duke of Holstein-Gottorp. He was hoping to secure a future ally against Denmark. The Riksdag which assembled at Stockholm in March 1655, duly considered the two great pressing national questions: war, and the restitution of the alienated crown lands. Over three days a secret committee presided over by the King decided the war question: Charles X easily persuaded the delegates that a war against Poland appeared necessary and might prove very advantageous; but the consideration of the question of the subsidies due to the crown for military purposes was postponed to the following Riksdag. In 1659 he proclaimed severe punishment for anyone hunting in the royal game reserve in Ottenby, Öland, Sweden, where he had built a long dry-stone wall separating the southern tip of the island. Labiau involved an essential modification of Charles's Baltic policy; but the alliance with the elector of Brandenburg had now become indispensable for him on almost any terms. The difficulties of Charles X in Poland are believed to have caused him to receive the tidings of the Danish declaration of war on 1 June 1657 with extreme satisfaction. He had learnt from Torstensson that Denmark was most vulnerable if attacked from the south, and he attacked Denmark with a velocity which paralysed resistance. 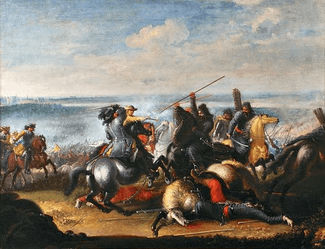 At the end of June 1657, at the head of 8,000 seasoned veterans, he broke up from Bromberg (Bydgoszcz) south of Pomerania and reached the borders of Holstein on 18 July. The Danish army dispersed and the Swedes recovered the duchy of Bremen. In the early autumn Charles's troops swarmed over Jutland and firmly established themselves in the duchies. But the fortress of Fredriksodde (Fredericia) held Charles's smaller army at bay from mid-August to mid-October, while the fleet of Denmark, after two days’ battle, compelled the Swedish fleet to abandon its projected attack on the Danish islands. 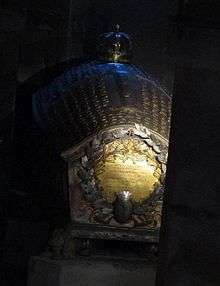 The position of the Swedish king had now become critical. In July Denmark and Poland-Lithuania concluded an offensive and defensive alliance. Still more ominously for the Swedes, the elector of Brandenburg, perceiving Sweden's difficulties, joined the league against Sweden and compelled Charles to accept the proffered mediation of Oliver Cromwell, Coenraad van Beuningen and Cardinal Mazarin. The negotiations foundered, however, upon the refusal of Sweden to refer the points in dispute to a general peace-congress, and Charles received encouragement from the capture of Fredriksodde, 23 October-24, whereupon he began to make preparations for conveying his troops over to Funen in transport vessels. But soon another and cheaper expedient presented itself. In the middle of December 1657 began the great frost, which would prove so fatal to Denmark. In a few weeks the cold had grown so intense that the freezing of an arm of the sea with so rapid a current as the Small Belt became a conceivable possibility; and henceforth meteorological observations formed an essential part of the strategy of the Swedes. On 17 July he again landed on Zealand and besieged Copenhagen with its king Frederick III of Denmark, but Copenhagen repelled a major assault and managed to hold out long enough for the Dutch fleet under Lieutenant-Admiral Jacob van Wassenaer Obdam to relieve the city, defeating the Swedish fleet in the Battle of the Sound on 29 October 1658. Jutland had been reconquered by Denmark's allies, Poland and Brandenburg, and in 1659 Danish and forces liberated the Island of Funen in the Battle of Nyborg. As Baltic trade was vital to the Dutch economy they made clear to Charles they wouldn't allow Sweden to control the Sound. ↑ Granlund 2004, p. 57. ↑ Granlund 2004, p. 56,58. ↑ Granlund 2004, p. 56. This article incorporates text from a publication now in the public domain: Chisholm, Hugh, ed. (1911). "Charles X., king of Sweden". Encyclopædia Britannica (11th ed.). Cambridge University Press. "Charles X. Gustavus". New International Encyclopedia. 1905. "Charles X., Gustavus". The American Cyclopædia. 1879.